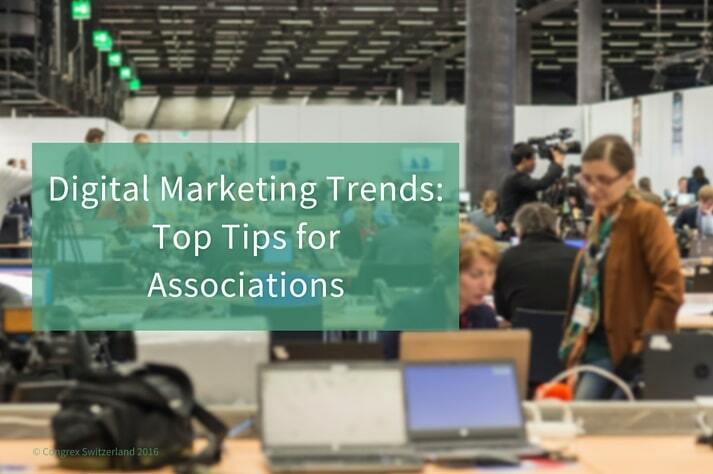 Digital marketing for associations of all sizes and specialities has now taken centre stage in order to reach the correct audience at the most appropriate times. However, this can be easier said than done. Not only must a viable framework be present, but this very same architecture should be extendable so that it can be modified and adapted when necessary. Another confounding factor is that strategies will evolve and advance in correlation with trends in digital marketing itself. Accordingly, many organisations do not have the flexibility to appreciate when different approaches should be taken. Let us address some of these concepts as well as why client engagement has become so important. Membership refers to engaging with both new and existing clients on a regular basis. Such interactions are critical to make certain that all stakeholders are kept “in the loop” in terms of product development and similar advancements. Messaging needs to take into account mobile, or m-commerce, the world of social media and other mechanisms which allow the business to interact with its target demographic. Finally, planning and implementing a discrete budget is critical to avoid potentially damaging cost overruns. Examples of money-saving ideas can be bulk email messaging, the establishment of social media accounts and cloud communications (as opposed to standard phone lines and physical correspondence). Although social media was briefly mentioned in the last paragraph, its importance cannot be overstated. It has been shown that the majority of consumers now utilise platforms such as Facebook and Twitter to analyse a product and view the opinions of others. Therefore, it is key that a strong social media presence be maintained at all times. This is also advantageous due to the fact that regular communications can take place between the business and its followers. Some illustrations of this concept can include sales or discounts, new product reviews, loyalty programmes and opt-in email campaigns. Social media is indeed a core component of any successful digital marketing campaign. The world of digital marketing is an extremely malleable landscape. What may have worked wonders yesterday could be outdated tomorrow. It is understandably important to keep well ahead of this ever-evolving curve. How can this be accomplished? We should first appreciate that smart planning needs to come into play. Smart planning includes obtaining the feedback from clients, observing the latest industry trends, appreciating the actions of competitors and determining whether or not a core demographic has changed. These methods will all provide the insight and clarity necessary to make the most appropriate decisions at the right times. There is no doubt that modern advertising methods have dramatically changed over the past few years. With the inclusion of social media marketing for associations alongside other turnkey solutions, it is now possible to take advantage of what this landscape has to offer. Still, this is as much of an art form as it is a science. We encourage you to review our white paper entitled “Strategic Planning is Key to Effective Digital Marketing for Associations”. Considering the application of the suggestions found within this text, taking the success of any business to the next level can become a reality.